Spring Blossom Journey: Just Add Ink - Blue and Bling! It's Friday..... which means it's nearly the weekend. I haven't had much time for crafting lately and I only got back in the craft room (after 5 weeks away from it) to make this cute card for the JAI challenge. 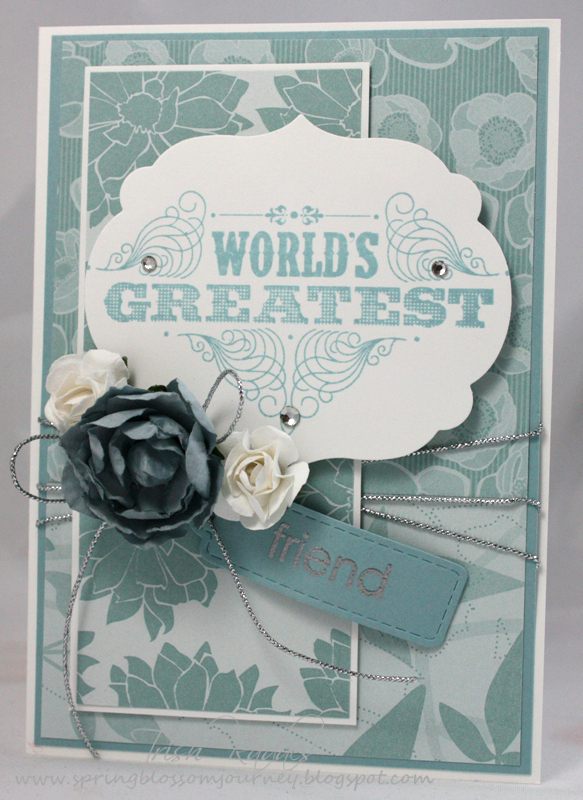 The challenge this week is to add Blue and Bling to your creation. You probably can't tell by looking at this card but it took me a looooooong time to make it as I'm slowly settling into my new craft room and working out where everything is! I've used some new and some retired SU! products on this card. I was lucky enough to attend the SU! conference in Canberra this year as a guest... and I received the 'Worlds Greatest' stamp while I was there. 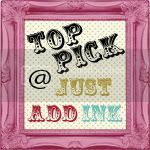 It's so versatile and can be used with so many different words to create very personalised card. 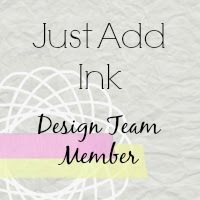 Check out the other Design Team members creations at the Just Add Ink blog, then get creating so we can see what you come up with!!! 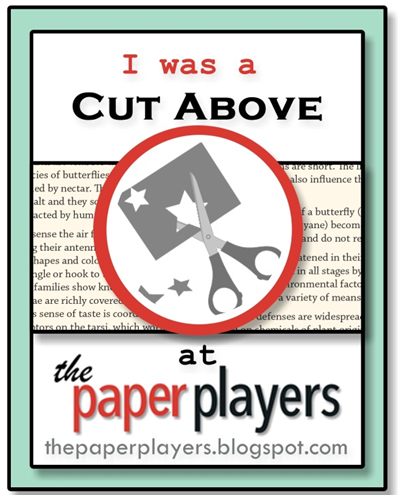 A very soft, feminie card, beautifully put together. This is a beautiful card Trish. I love the way you've used the "world's greatest" stamp and then the tag with friend stamped on it. Just perfect for someone special. Gorgeous flowers too! Really pretty and soft Trish! Totally fabulous! 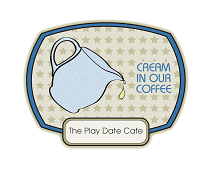 I haven't used this stamp yet, and I love that you've made it feminine - not sure I'd have thought of it. 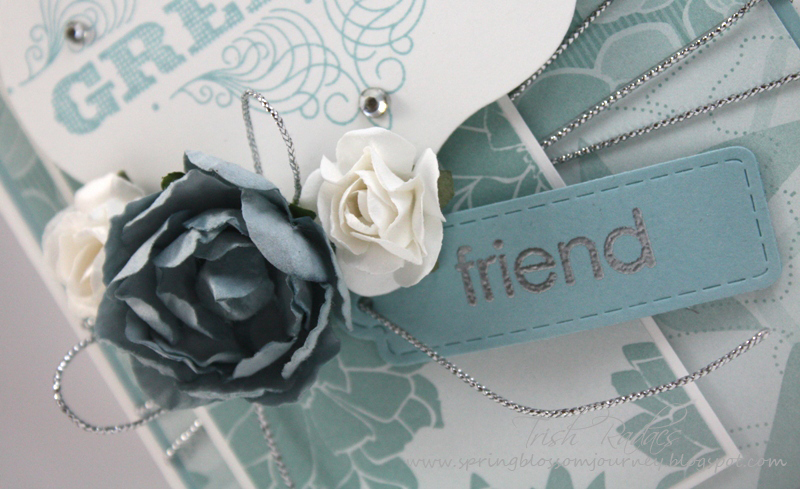 Love your tag and the silver cord running around your card.